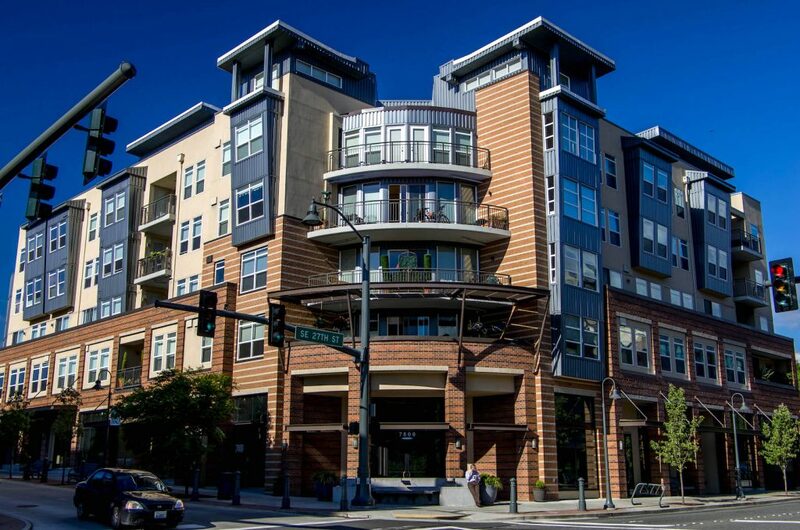 With 55 condominium closings, Mercer Island saw the most condo sales since 2005’s 57. But with current condo prices so much higher than 2005, 55 sales generated $26.8 million dollars — a sales record, and nearly $10 million more than 2005. The lack of available condos for sale in 2017 held the sales numbers back. With an average of only four condos available at any time, 2017 had 1/2 as many as 2005’s already low average of eight condos on the market. The listing shortage and high demand pushed the average square foot price of a Mercer Island condo to $432— a 12.5% increase from 2016. The average sale price was $486,754 and the median was $461,728. Both were slightly lower than 2016 as a result of fewer high end sales occurring in 2017. Over all, 2017 condo prices increased. Nearly 2/3 of 2017 sales were in the $350K-$549K price range. As prices rise, new sellers are listing for more, leaving fewer $349K and under condos on the market. Buyers want Mercer Island condos and they are willing to pay more than ever to own one. Don’t miss this opportunity! Contact us and learn what your home is worth in this exciting seller’s market. Call today! 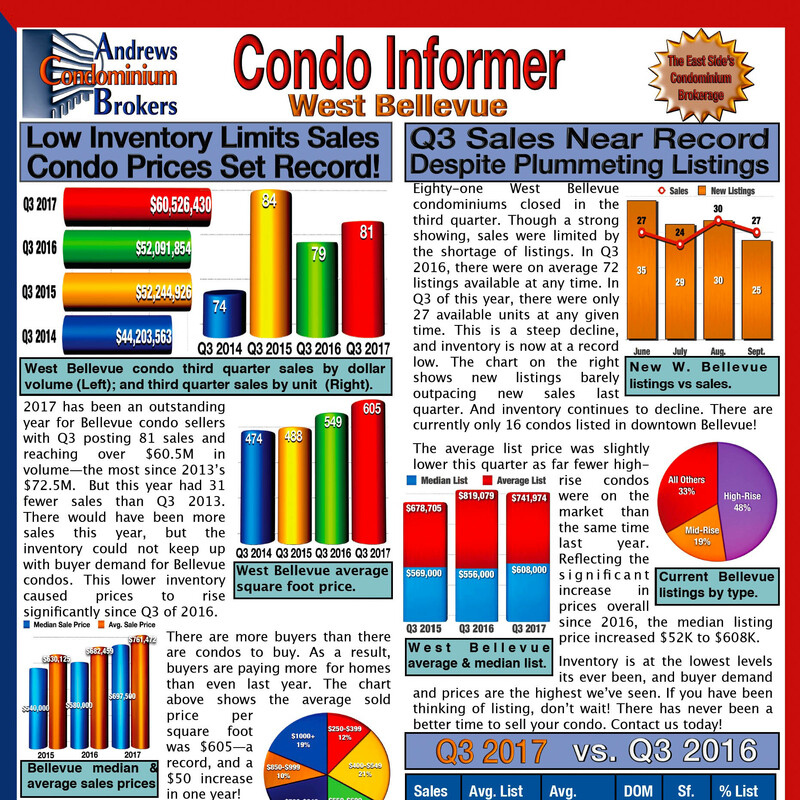 Stay informed about the Mercer Island Condo Market. Sign up for our Condo Informer newsletter and Condo Informer email notifications for your complex.